As you probably know, before I got my Honda Fit EV, I drove a Honda Civic Hybrid. 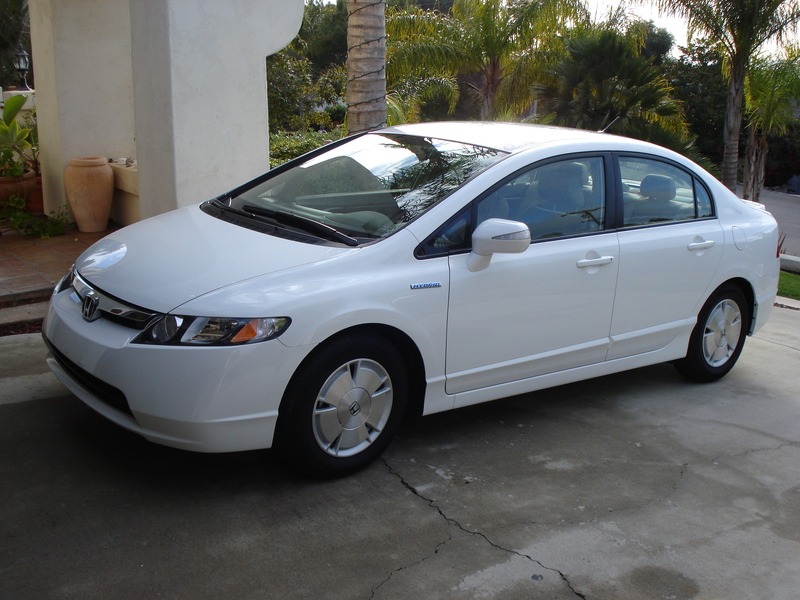 For the most part, the Civic Hybrid was a great little car that saved me lots of fuel. However, about a year and a half ago, the battery started to act up. 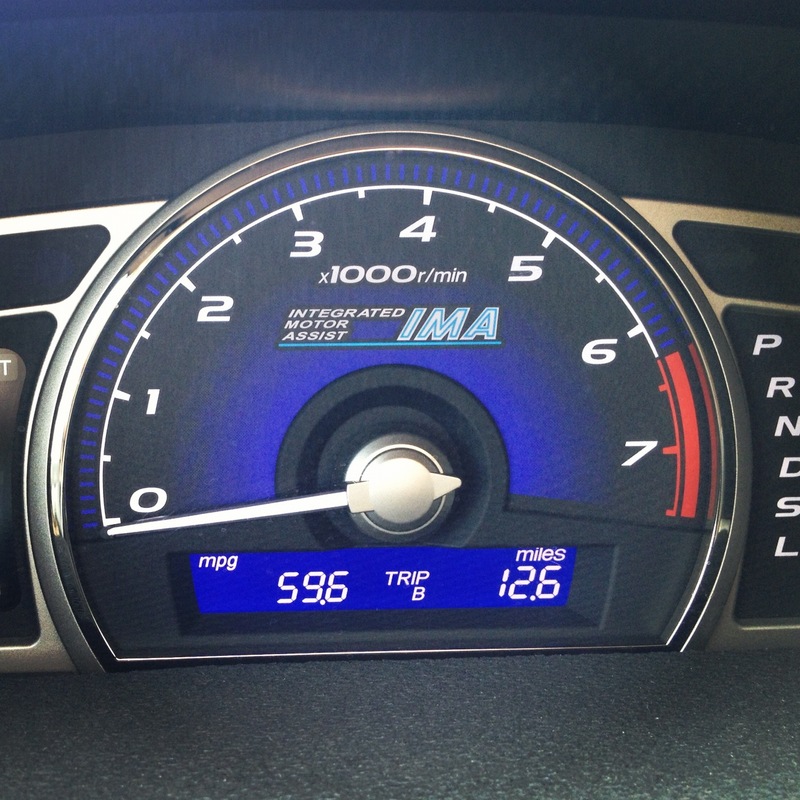 The Civic Hybrid keeps track of the IMA battery’s state-of-charge (SoC) in an interesting way. What it does is start with a full battery and keeps track of the SoC by calculating it based on how much power it has put in or taken out of the battery. However, this method isn’t perfect, and the battery will eventually end up at a lower SoC than the car thinks. When this occurs, the car recalibrates the battery pack. During the recalibration process, the car uses the gasoline engine to recharge the battery pack, which not only inhibits fuel economy, it inhibits the car’s acceleration to a dangerous level. A new vehicle will only do this occasionally, maybe once or twice per year. At that rate, it’s not a big deal for the driver. However, as the vehicle ages, the battery pack deteriorates and begins to calibrate more often. About a year and a half ago, the battery began recalibrating about every week, which got pretty annoying as I’m sure you can imagine. I read up on the issue online and decided that my best course of action was to replace the 12V battery as a bad 12V battery could be putting a larger load on the IMA battery (the car has no alternator and the 12V battery is charged from the 158V IMA battery through a DC-DC converter). Unfortunately, the new battery didn’t help. I was seeing recalibrations at the same frequency. In December 2011, I started to record the frequency of the recalibrations. I recorded all sorts of data including time, temperature, and odometer miles (Siri made recording this all very easy during my drive). I wasn’t able to find any pattern as to when the battery would recalibrate. At this point, the battery was recalibrating about once every three days. After a few weeks, I got sick of logging the recalibrations and put that on hold. In February 2012, I began logging the recalibrations again. At this point, the recalibrations were occurring about every other day on average. I started to notice a pattern at this time. 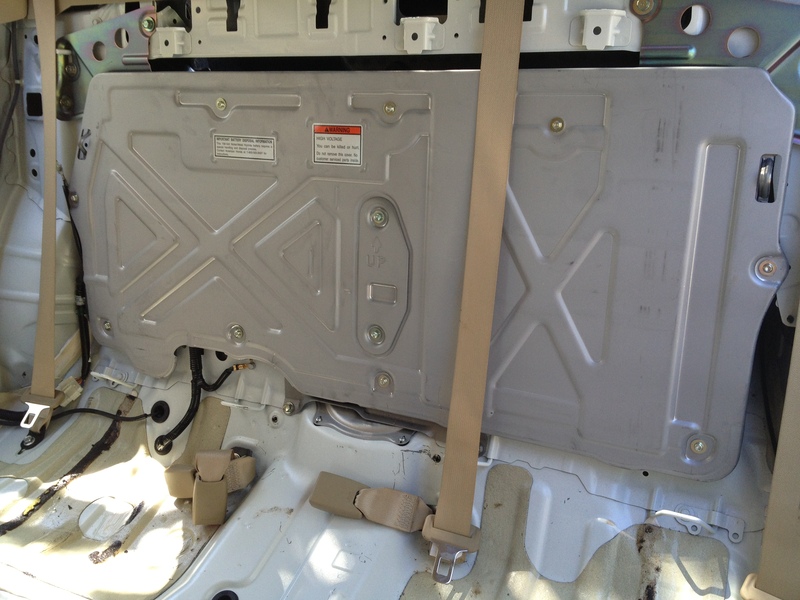 The longer the car sat between drives, the more likely the car was to recalibrate. The length of time was shortened in warmer or colder climates. Remember, I’m in San Diego so cold is 40F and hot is 85F. The chance of a recalibration occurring was also greater if the AC was running, as the AC puts an extra load on the IMA battery pack. In March 2012, I was still logging recalibrations. I took a 900-mile road trip and the car only recalibrated once on each 450-mile trip. After the first recalibration the car essentially drove normally. (Note: There have been several shorter trips where the battery recalibrated twice). At the end of March, I once again got sick of recording the recalibrations and took a break. Not much changed between March 2012 and August 2012. The recalibrations became more frequent, but I hadn’t done anything about it. 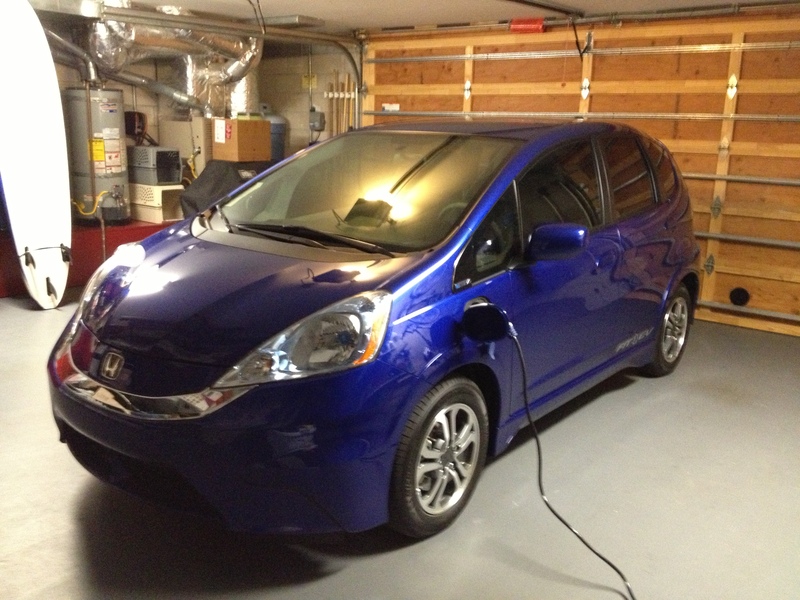 Once I received my Fit EV, I was able to take the car in and not worry about being car-less. I took the Fit into Hoehn Honda in Carlsbad in early September. When the tech turned the car on, he noticed that it started using the starter motor. Generally the Hybrid motor will start the engine, creating a softer, quieter, more efficient start. However, if the IMA battery is too low, the 12V starter motor starts the car. I’m glad this happened to the tech, because it really shows what shape the IMA battery is in. Hoehn Honda’s explanation was that my ScanGauge (an OBD-II trouble code reader, that reports faults, MPG, temperatures, RPM, and all sorts of info) was putting too much of a drain on the battery. There are a few problems with this. First, the OBD-II port is powered from the 12V battery, not the 158V IMA battery. A drain on the 12V battery will not affect the IMA battery while the car is sitting because the DC-DC converter (what charges the 12V battery from the 158V battery) only operates when the car was running. However, let’s assume that the scangauge was somehow linked into the hybrid battery. The dealership gave me current drain numbers (though they were initially in Volts, then Amps, then I corrected them to milliamps). I did some quick calculations based on the numbers they gave me (60mA drain over 12 hours at 12V = about 9 Whrs, or 1.0% of the original pack capacity). That is about two iPhone batteries worth of energy storage. But remember, this is irrelevant because the scangauge isn’t draining the IMA battery at all. Still convinced that the ScanGauge is the issue, Honda disconnects it and charges up the hybrid battery. The next morning they turn the car on and the dash is reading 100%. They say it’s fine and ask me to come get it. At this point, I should have asked them to drive the car, because I knew it was not fine. It always shows a good SoC in the morning, but once the car is driven for a few minutes the recalibration process begins. I went to pick the car up and within 20 seconds, the battery dropped to two bars and began recalibrating. This further proves that the ScanGauge was not causing the issues, so I left the car at the dealership for the tech to look at again. However, the tech was still convinced that it was the ScanGauge. He used his DTC tool to measure the battery’s capacity and it read 75%. He explained that there’s no way a 5-year old battery would be in that good of shape, so he knows his reading was wrong. What worries me is that if 75% is not expected at 5 years, Honda must be seeing some extreme degradation. Anyway, he told me that the reason it was reading 75% was that because the ScanGauge had been causing the computer to reset every night, the car didn’t have a good idea of the capacity. After researching online, I found that the cars almost always read 75% after the battery has been charged. They don’t read the true value unless the car has been sitting overnight. I’m not sure if the 75% number is a software bug or another trick that Honda put in with the latest software update. I’m glad the tech realized that number was incorrect, but I wish he knew how to get the right number instead of giving me the car back. He basically told me to drive it for a few weeks and one of two things will happen: Either the car will fix itself or the IMA light will come on. Knowing that the ScanGauge wasn’t the problem, I doubted that either of those two things would happen, so I asked him what would happen if I kept seeing symptoms, but no light came on. (According to the tech, the light doesn’t come on until the battery pack is at 10% or less capacity, thanks to the latest software update). He assured me that if I was still seeing issues they would work with Honda of America to get me a new battery. I decided what I needed to do was drive the car for a few weeks, so that we could move onto the next step. Instead of driving on clean, cheap, domestic electricity, I drove for two weeks in the civic hybrid, burning fossilized dinosaur juice like some sort of barbarian. I recorded every drive (on camera) and was seeing about 1.5 recalibrations per day. Before I could take it back to Hoehn Honda, another dealership, Honda of Escondido, emailed me about the Fit EV. After telling them how great the Fit EV has been, I explained the issues I was having with the Civic Hybrid’s IMA battery and that I wasn’t seeing much progress with Hoehn (though Hoehn was not nearly as bad as other dealership I’ve read about online). After hearing about my Civic Hybrid troubles, my saleswoman scheduled a rep from Honda of America to come down and look at my car. I wrote the rep a two and a half page letter and included spreadsheets of the recalibration frequencies, as well as the documentation from Hoehn Honda. He drove my car and came right back and told my service advisor to order a new IMA battery. 59.6MPG: Taken on my way home from the dealership. The battery arrived the next day and the repair took an additional day. Three days is the quickest I’ve heard of an IMA battery being ordered and replaced. I was not expecting that at all. Because of the battery pack’s 10-year/150,000 mile warranty, I paid nothing for the repair. My car now drives like new and I’m seeing about 45 MPG again (up from 33MPG during the two weeks before the battery replacement). On my way home from the dealership, my average was over 50MPG! The car drives entirely different now and has recalibrated zero times, even after sitting for several days. Log every time the car recalibrates, so you have historical data of the issue. The earlier you can start this, the better, I had a nice graph that showed the frequency of recalibrations increasing over time. Record your drives. I recorded the dashboard and have over an hour of recalibration footage from just two weeks. I didn’t have to use this, but it shows the issue very well. Mention that it’s a safety issue. I was nearly rear-ended during the two weeks that Hoehn had advised me to drive the car. They told me to drive an unsafe car, which was a huge liability for them. Try a different dealership. If you aren’t getting help from your normal dealership, sometimes another will have more experience with hybrids or just be more willing to help you. Bring in small claims court paperwork. I was prepared to do this, with all of the data that I had collected. Luckily I didn’t do this, but others have and just the paperwork was enough for the dealership to do the replacement. If they still don’t, take them to court! Your battery pack is under warranty and is not operating as it should. With the newer software, which goes much easier on the battery pack, I expect the new battery to last at least 8 years before it needs to be replaced. Similarly, 2009 and up Civic Hybrids that came with the new software shouldn’t have battery issues until after the warranty period is up. Overall, I’m not happy that Honda did a poor job with the IMA battery, but I am happy with the way they handled the situation. Of course, I’m also very happy with my Fit EV. The Fit EV has an extra robust battery that can take twice the number of charge cycles of a standard EV battery and can operate in wider temperature ranges. The Lithium Ion batteries in the Fit EV also require a much more advanced battery management system than the Nickel Metal Hydride (NiMH) batteries in the Civic Hybrid, which will take care of the batteries much better. It will be interesting to see if Honda learned from the hybrids (I’m sure they did) and made improvements on the battery life of the EVs. I’m sure I won’t see any major issues like this within just three years of driving the Fit EV, but after a few years we will be able to do some rough comparison with the Nissan LEAFs to see how our batteries are holding up. Wow – nice job Colby. Now the million dollar question. When I read about Heather Peters suing Honda about the fuel economy claim while ago, I thought she was a publicity hound looking to get attention and driving her Civic with the proverbial lead foot. Based on your experience, it looks like she could have had a valid claim? I think you’re right. Dicey defending against not achieving EPA gains, that is an attack against the whole mpg system to begin with. Good luck with that. Like you, I would have sued for non-performance of the warranty. Especially if you can get documentation that Honda’s latest firmware will not display the IMA light until 10% capacity is left. 10%???? Shouldn’t be too hard to get a small claims judge to see the crappiness of that blanket warranty decision. Some moron bean counter at Honda surely is the brain behind this decision. Save some bucks in the immediate timeframe, make that silly spreadsheet look good. But flog Honda’s previously well earned reputation in the process. Not a good way to try and wrestle the hybrid lead from Toyota. 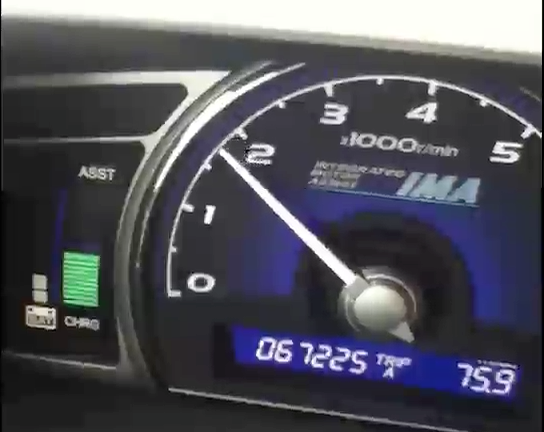 but I need to ask, what is the cost of new IMA Battery for Honda Civic 2007? The cost as of 2012 was about $3,000 with installation. However, A 2007 should be under warranty until 2017 in California and other “clean states” and until 2015 elsewhere in the US. Obviously Honda doesn’t always honor this warranty though. I think that the reason you can replace it is primarily due to the purchase of Fit. I have a 2006 HCH, and have had a similar issue in getting the battery replaced. I was getting around 27 MPG and my battery would recalibrate about once every 10-15 minutes! The car has been basically undrivable. I took it into a Honda dealer here in Salt Lake and they tested the battery and said that they couldn’t detect any problem with it. I tried arguing and speaking to the manager to convince them of the state my car was in, but they were completely unsympathetic. All the tech did was tell me to drive it around for a few weeks and see if the IMA light comes on. Well, the light came on last week and I took it back in and they again tested the battery and said it was “in a state of advanced deterioration” and they volunteered to replace the battery under warranty. If it had not been for the IMA light, they wouldn’t have done anything for me. It is at the dealer now, and I am just waiting. I hope that my car gets back in the 40 MPG’s like yours! Needless to say, I am not very happy with Honda, and think my next car will be a Toyota. 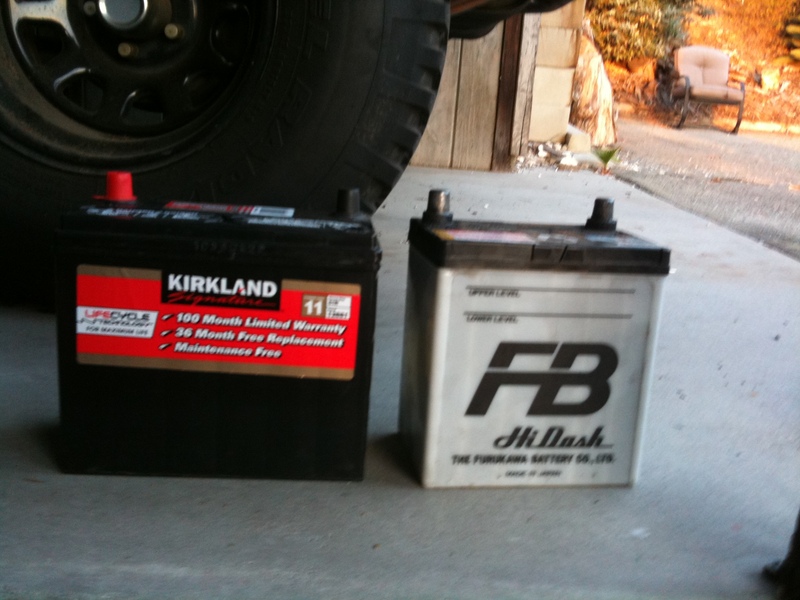 Hi Colby, I came across your blog as I was trying to research this IMA battery problem. Nice write up by the way. I am having trouble figuring out when this “recalibration” is happening. My 06 hybrid is experiencing symptoms similar to what you described above such as the no auto stop and rapid drops in battery level at one moment then a few minutes later it’s all the way up again. I’d like to start recording the recalibrations, but how do I tell when one has happened? Is it when the battery drops to 2 bars or when it goes back up to full charge? I too live in San Diego. I’m also glad to know that I’m not the only one disappointed in Hoehn’s dis-interest in warranty issues with their cars. I happily drive to Honda Escondido for service. Rob: the whole process of dropping to two bars and recharging up is the recalibration process. Depending on your mileage, you may be able to get a replacement pack from a good dealer. I have some strong feelings about Hoehn. Their service manager would not return my calls and I have learned that he encourages his service advisors to file as few warranty claims as possible. I’ll stop there, but I can say I am never going to Hoehn again. Not even for warranty issues or anything. This is unrelated to hybrids, but having owned two Hondas, the last two ever, I have found their support of their vehicles far less than stellar. This is based 3 dealerships as well. I know I am missing something, but it appears to be endemic to Honda. With any car, getting a good dealership is key. I drive to the 3rd nearest dealership, because the others aren’t worth going to. They are privately run and I understand many of them have incentives to their service managers to do as little warranty work as possible. It really shouldn’t be this way though. This is a great example of why Tesla wants to stay away from private dealerships. I was looking into purchasing a pre-owned 2009 Honda Civic Hybrid (our current Chevy has 350,000 km on it, and needs $4000 worth of work – I was hoping with the HCH I’d make those car payments with the gas savings since we drive 40,000km each year (80% of it highway commutes) and Honda’s are generally known to last a long time.. Now I’m nervous of getting the HCH due to so many complaints about the reliability – particularly the battery issue. I don’t want to exchange the current repair bill for another large, annual repair bill for the HCH in addition to car payments! The 2009 HCH I’m looking at has a new battery. Is the HCH problem with the original battery and replacing it “fixes” the issue? Or is the battery issue actually with the car and no battery will be immune? Even if we get 80,000 km out of each battery, for us that is a large bill every 2 years! There goes the gas savings if that happens! Based on the comments I’ve been reading here: https://colbytrudeau.com/2013/02/10/update-honda-civic-hybrid-ima-battery-replacement/ I don’t think the new software or new batteries fix this problem at all. It’s unfortunate, but to me it seems like Honda has not come up with a solution, so I would not recommend a Civic Hybrid to anyone. Thanks for writing this article! I’m thinking about purchasing a ’07 model with 100,000 miles from a private owner. What are your thoughts? What questions should I be asking him? Honestly, I wouldn’t recommend it after reading all the comments here: https://colbytrudeau.com/2013/02/10/update-honda-civic-hybrid-ima-battery-replacement/ I’d look for a different hybrid like a Prius. I have lost faith in Honda hybrids. I have a 05 Honda Civic Hybrid with 105,000 miles and my engine and IMA light just came on. What do recommend I do? I have a 2009 Honda Civic Hybrid with 60,000km(37,500 miles) since I got the car the IMA battery have been replaced 2 times by two different dealers. They give the usual run around until I came back with the check engine light on and code readout: IMA battery deteriorated before they change the battery. Not happy with Honda effort to resolve the issue since it kept coming back every two years. I would like Honda to give a fair trade in for the car so I can put the car out of its misery. i had 2008 use car “hybrid honda civic” at 66038 miles i get same issue, i both it 2013 the miles was 44 thousand something & now having issue! on 66 thousand miles IMA Battery was malfunctioning even the Lahtium battery for starting the car was getting bad too! 2008 Civic hybrid 68k miles MA BOSTON. Same problem. They scared me with $140 Diagnostic fee to take a look. Same story “if no IMA light on then we may not replace” after diagnostic they confirmed that Battery needs to be changed and covered under warranty. I still had to take a day of and sit home till they fix. Not to mention the last 2 years of ridiculous 30-33mpg (our Toyota Matrix makes that milage and it is not a hybrid) and dangerously slow acceleration. I am disappointed also in Honda support and scare tactic with the diagnostic fee. All those faulty hybrids should be diagnosed free of charge and covered under warranty.